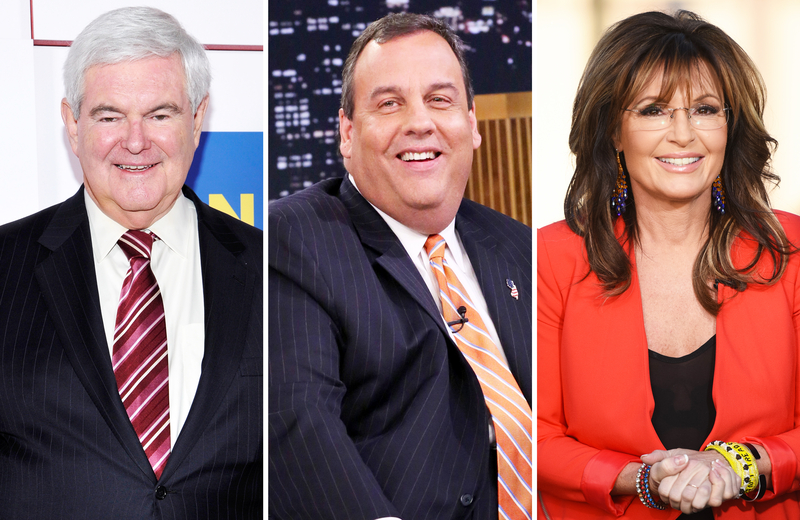 President-elect Donald Trump’s potential Cabinet may include Newt Gingrich, Chris Christie and Sarah Palin, Politico reports. The controversial businessman, who was elected the 45th president of the United States in an unpredicted turn of events on Tuesday, November 8, is expected to hire those who stayed by his side throughout his campaign. Palin, who believes climate change is a hoax, is reportedly being considered for interior secretary, while New Jersey Governor Christie, who ran against the POTUS-elect and previously criticized Trump for acting like a “13-year-old” and for being “thin-skinned," is being considered for Homeland Security secretary, attorney general or commerce secretary. Christie dropped out of the race after the Bridgegate scandal. The politically motivated closing of the George Washington Bridge nearly ended his political career after some felt Christie cruised under the radar while leaving his staffers to take the blame. Former mayor of New York City Rudy Giuliani has also been thrown in the mix for attorney general. Along with Gingrich, Christie and Palin, Politico reports that Trump is also considering Forrest Lucas, the 74-year-old founder of Lucas Oil, for interior secretary. He is also reportedly eyeing Goldman Sachs veteran Steven Mnuchin as treasury secretary and Republican politicians including Senator Bob Corker for secretary of state and Senator Jeff Sessions for secretary of defense. The former Apprentice host previously teased he would announce his selections for Cabinet during the Republican National Convention in Cleveland. While Trump’s son Donald Trump Jr.’s name has also been floated around for a possible Cabinet position, the POTUS-elect can’t hire any of his children due to antineoptism laws. That said, he still bragged that his daughter Ivanka Trump would make a perfect Cabinet member due to her popularity.